I have a confession to make. 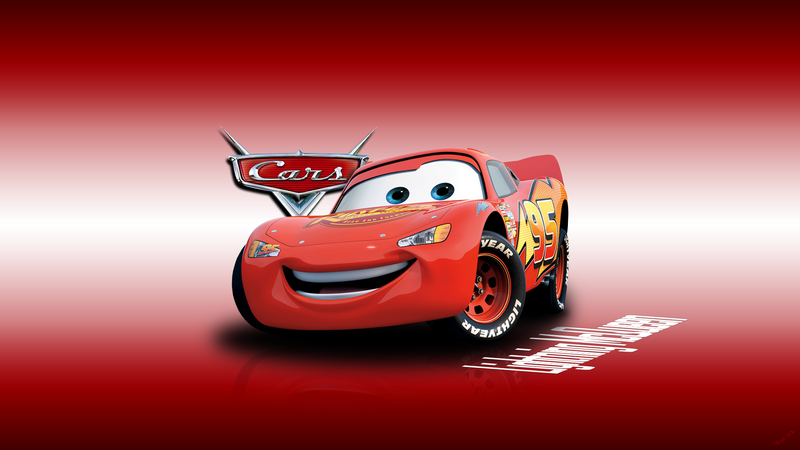 I love Cars, that NASCAR-based animated movie that gave rise to the names Lightning McQueen, Mater and Chick Hicks. I watched the first release of Cars a few times, and every time that scene where Lightning McQueen gave up the Piston Cup to go back and push The King to the finish line, my eyes would tear up, which always gave my two little boys the giggles. Check out this amazing Cars product on Amazon! Lightning was just a hair strand away from the pinnacle of his rookie dreams. And then, he remembered … that race was The King’s last. And fearing that this last would somehow end up like the same race that made Doc Hudson hate anything that had to do with racing … well, you know what happened. I’m sure you’ll agree when I say Lightning McQueen isn’t just a lovable character. (Okay, there’s Mater as well. But if you ask me, Mater deserves a blog post all his own.) Aside from teddy-bear huggability, he, alongside his gang, comes packed with traits I’m sure one can learn something from. Remember the opening lines of the first Cars installment? Okay, here we go. Focus. Speed. I am speed. One winner, forty-two losers. I eat losers for breakfast. Breakfast? Maybe I should have had breakfast? Brekkie could be good for me. No, no, no, focus. Speed. Faster than fast, quicker than quick. I am Lightning. He was mentally conditioning himself when a distraction decides to fill his brain. He was quick to recover, however. When you’re freelancing, procrastination becomes an easy second nature, if you’re not careful. That’s because you don’t report to somebody else. There’s no check-in/check-out time to think about, no productivity metrics your boss would have to tick off his/her list to determine your quarterly performance bonus, if any. And then, there’s Facebook, and Candy Crush, and your favorite noon time show showcasing the versatility of a chubby little girl with missing front teeth dancing the cha-cha, or the lure of a tropical retreat in the company of sorely missed friends. What becomes of your freelancing commitments then? Your deadlines? The brain may be a rather complex organ to completely figure out, but it can be trained to focus. Click here for an article published in the Harvard Business Review on training the brain to focus. Lightning McQueen’s love for the racetrack was unquestionable. Proof to that were the many ways he tried to escape Radiator Springs to get to California. There was nothing that could stand in the way of his dreams. It just so happened that the cars at Radiator Springs were as strong-willed as he was. Until the road was fixed, there was no way he could leave. Still, he had something to look forward to. To get to where his heart wanted him to be, he did everything (or maybe not everything) asked of him. At one point or another, you probably have already been told to follow your passion, find the work that you really love, or do something that means the world to you. Finding your niche, so to speak, can be a life-changing endeavor when done in the right set of conditions. What I mean is that while I am all for finding your passion and living the life you’ve always wanted, quitting your job without giving it careful thought can result in disastrous repercussions. Before doing anything rash, here are four things to consider when following your passion, as published by the Business Insider. He was an arrogant little rookie who thought he was invincible, that everyone was supposed to recognize him for the star that he was. Boy, was he wrong! Little did he know that this forlorn town in the middle of nowhere was going to change his life, and mold his character, for the better forever. Of course, nothing would be possible if Lightning McQueen happened to have an impenetrably thick cover wound around his being. He may have thought too highly of himself in the beginning, but young and eager as he was to learn, he even picked up a few maneuvers that proved indispensable in the racetrack in the end. In freelancing, adaptability is a crucial trait to master, especially since there probably is nothing routine when you’re a freelancer, in my opinion, at least – the most notable of which being the inconsistency of the paycheck cycle. No man is an island, entire of itself. Every man is a piece of the continent. No, I didn’t just cough up a fortune cookie; I just quoted John Donne. Now, do I really have to talk about the bonds that Lightning McQueen forged at Radiator Springs? I probably don’t. While self-reliance is one aspect we all can improve upon, the ability to work with a team, to accept that there are things we cannot accomplish on our own, the capacity to effectively communicate and convey our messages are steps forward toward building stronger ties with clients and other freelancers. As well, the ability to train people in the way you would want to be trained, and to duplicate and leverage yourself are keys to developing a strong freelancing foundation. As freelancers, we all have our goals, one being to get out of the rat race and be our own bosses. For moms like myself, it’s to be able work from home and be with the kids more. Some days, it’s all rosy and gay. Some days, things just don’t add up no matter what you do. Still, if you have the right mindset and continue to believe in the goodness of what you do, who can stop you from reaching your goals? At the end of the day, however, you also have to keep in mind that if you do things that go against your core values, despite everything you stand to gain, the Piston Cup, as Doc Hudson painfully realized, is just another empty cup. 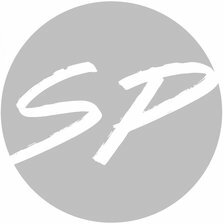 If you need help writing content or editing your articles, contact us today so we can discuss how we may be able to assist you. We’ve already written hundreds of articles for both online and offline publications. We also offer ghostwriting services. Some of the pieces we’ve ghostwritten appear on Yahoo, Huffington Post, and Forbes.com. nice article keep it up.. bookmarked blog. Thanks for coming over, Prince. I appreciate the support. Maricel Rivera recently posted … The Ultimate Writer’s Block Cure? Keep Writing.